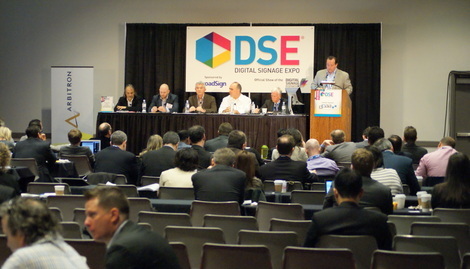 #DSE2017 will be at the Las Vegas Convention Center March 28-31 (exhibit hall open March 29-30) and will offer more than 125 educational opportunities, including 10 pre- and post-show events, eight industry-specific keynotes, 34 general conference sessions, 28 free on-floor workshops, 42 industry vertical roundtable discussion groups, ‘Brainstorming’ meet-ups for individual end-user sectors, and a program of study to ensure certification renewal in cooperation with the Digital Signage Experts Group. New this year are the industry-specific keynotes and two special sessions for manufacturers/exhibitors. All sessions include relevant topics vetted by both the DSE Advisory Board and Educational Oversight Committees comprised of volunteers whose expertise and experience helped shape the 2017 curriculum. This entry was posted on Friday, November 4th, 2016 at 06:18 @304 and is filed under DailyDOOH Update. You can follow any responses to this entry through the RSS 2.0 feed. You can leave a response, or trackback from your own site.